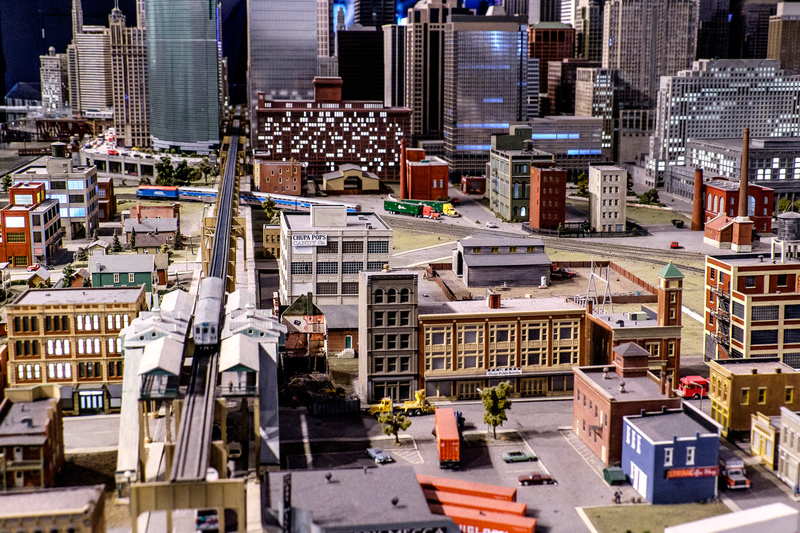 The view of a miniature evening Chicago at the Museum of Science and Industry. 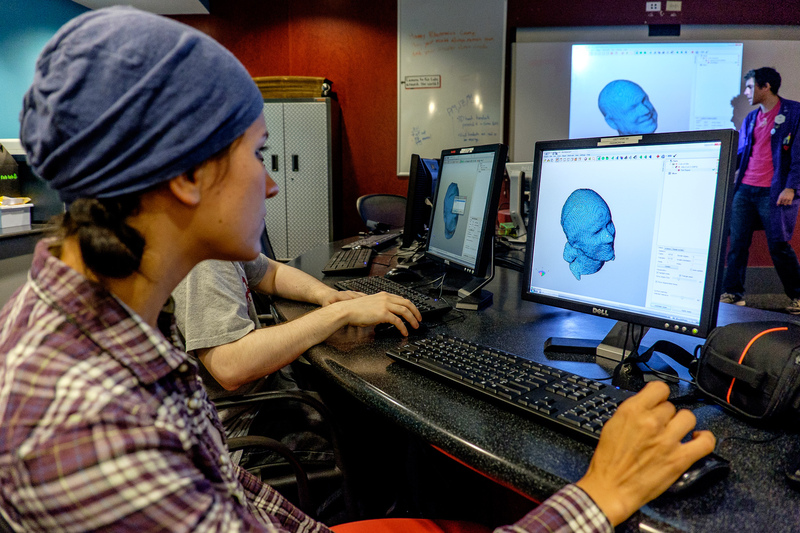 Alla is preparing for her head scan in the CAD software for printing on 3D printer. 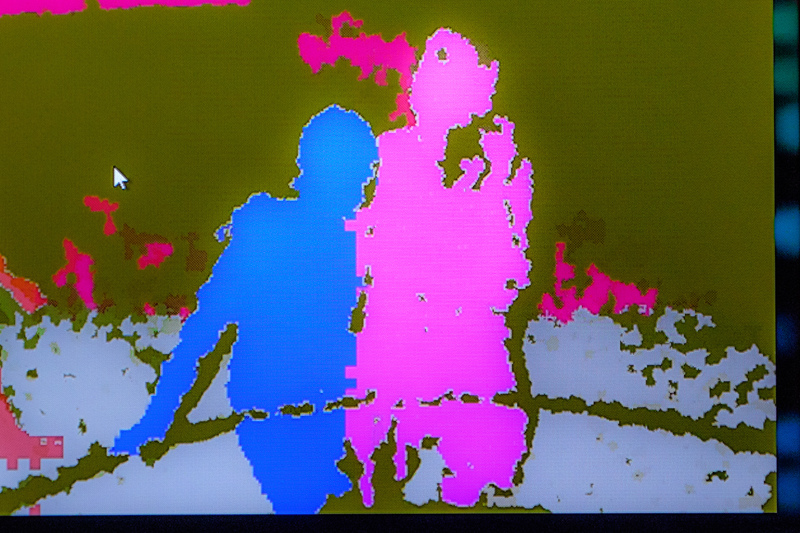 On the highest level technological selfie. 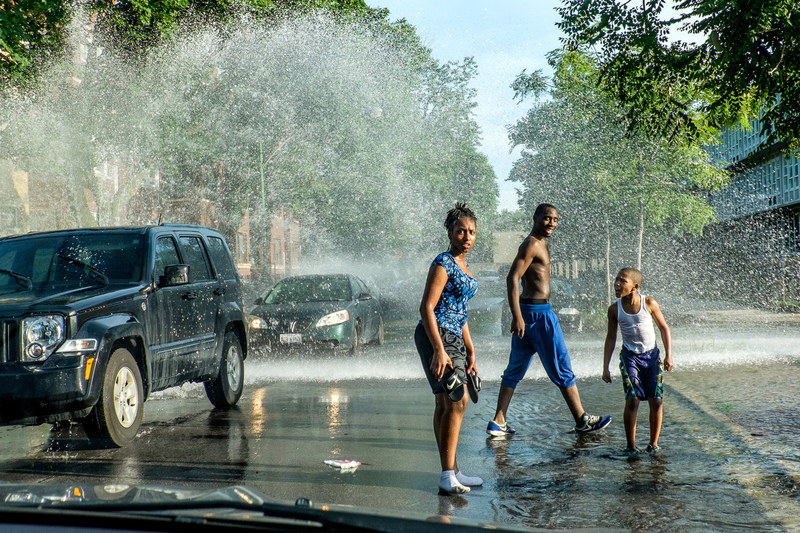 A busted fire hydrant, the aggressive glares of young loafers surrounding our car, and a homie in blue shorts, who just jumped on our car hood – Englewood – one of the most dangerous neighborhoods in Chicago. This entry was posted in Illinois, Part 2 and tagged CrossCountry Trip, Day 66, Road Trip, Trip US on July 19, 2015 by RusAlka.